My one and only memory of this Walter Hill classic was that I remember going to the theater to see this on Christmas Day back in 1992 by myself. This was a time when I made a habit of doing that, and while I'm sure I enjoyed it, for some reason I never took the time to revisit it. 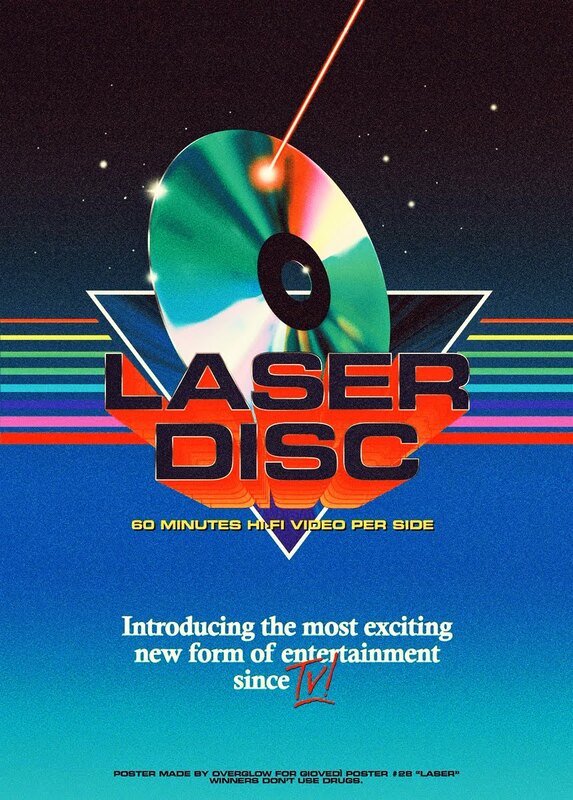 But I always had the idea to in the back of my mind, and when a friend was selling a bunch of VHS recently, I took the opportunity to grab this one. When 2 city firefighters go searching for a hidden treasure in an abandoned building, they soon discover that they're caught in the middle of an urban turf war, and must figure out how to escape and stay alive. Though it's been nearly 30 years since I've last seen it, I can honestly say I had great time with this one. 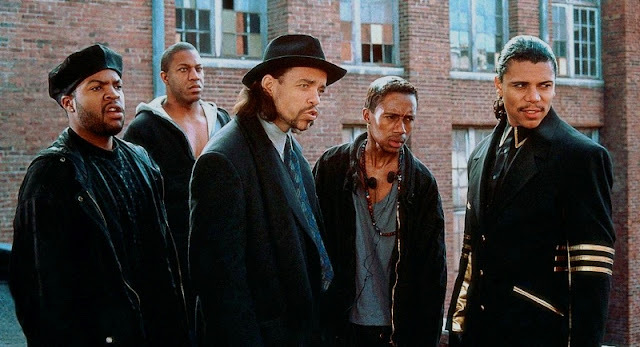 It was also a reminder of a time when big name rappers began turning into actors in big budget films that hit theaters, regardless if they were good or not. That trend continued all throughout the 90's, most notably in a bunch of Seagal flicks and some low-budget horror films. It didn't last though. The few that actually did turn out to be decent actors continue to thrive today, like Ice-T and Ice Cube for example, who continue to work in film and TV as actors, even filmmakers themselves in Ice Cube's case. But that idea is nowhere near as prominent as it was in the 90's, where it seemed like every popular rapper tried their hands at acting. 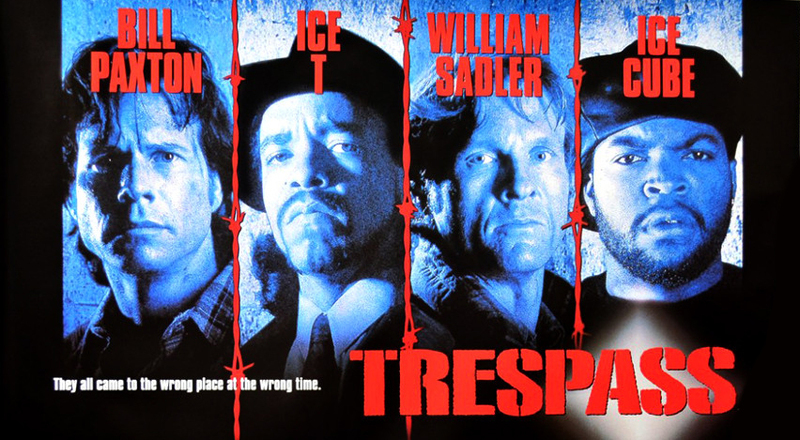 If anything, Trespass is a fun reminder of that very specific time when gangster rappers tried branching out into acting. But moving on. Outside of this stellar cast, I was stoked mainly because of my man Walter Hill behind the directors chair. Ultimately, while it's a bit of a detour from his usual style and type of film, he did a pretty decent job. It's not on the same level of say, Red Heat, Extreme Prejudice or Another 38 Hrs., because he mixes that very gritty style up with a whole lot of handheld freestyle camerawork here, which I'm just not a fan of in general. Still, it retained enough of that very special Walter Hill flavor to keep me invested. And truth be told, this was around the time when Hill wasn't really displaying any specific style like he had all throughout the 80's. The 90's saw him experiment with varying different visual aesthetics, and straying more and more from what we had come to expect from him in the previous decade. For example, with Trespass, he mixes up his usual slick direction with some handheld camerawork. Some of it works alright, and some of it just looks and feels lazy. But the following year he went all out in epic form with Geronimo, giving the film a slick epic widescreen sheen that easily comes off as one of his best looking films to date. 2 years later he would go a little weirder with some experimental camerawork and tricks with Wild Bill (personally wasn't a fan). 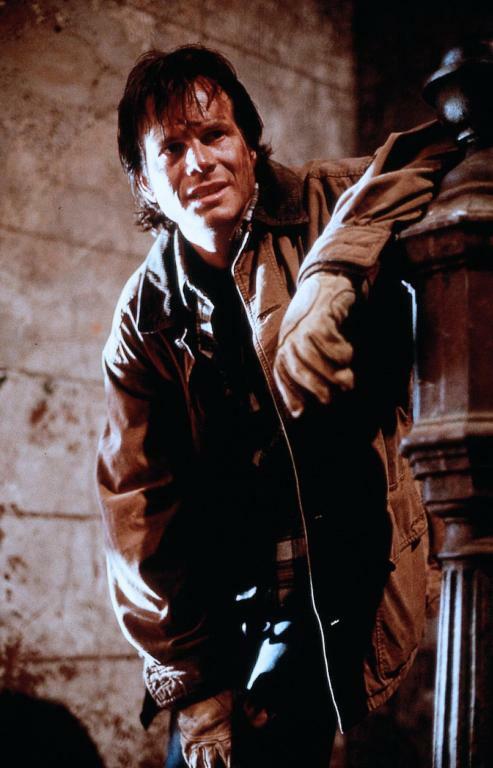 1996 saw Hill return to form with the gritty, violent, bloody Last Man Standing with Bruce Willis, which also marked the last time we would get a film like that from him. Directing issues aside, Trespass is really as strong as it is because of the excellent cast. 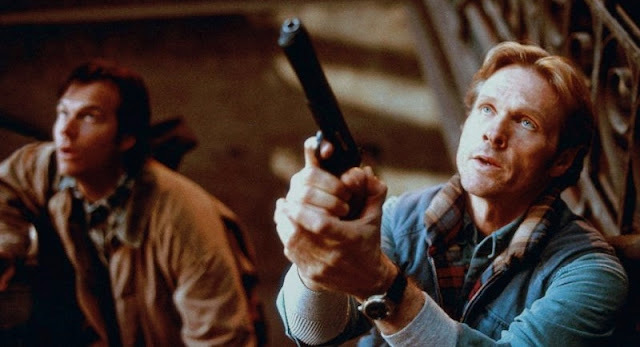 Bill Paxton and William Sadler knock it out of the park in their respective roles, and the impressively large ensemble cast of character actors and rappers-turned-actors are just icing on the cake. I think one of the things that surprises me the most about this is how nearly everyone involved with this is also responsible for HBO's Tales From the Crypt series. Trespass is written by Robert Zemeckis and Bob Gale, who also wrote and directed the Back to the Future trilogy. It's directed by Walter Hill, who along with Zemeckis and Gale, produced and created the series for HBO, as well as directed a number of classic episodes. Sadler starred in Tales From the Crypt: Demon Knight, as well as 2 key episodes in the series. Bill Paxton starred in an episode titled "People Who Live in Brass Hearses". See? It's like the the whole TFtC family decided to get together and make an urban action film for the fun of it, and the result is a film that defied my expectations and ultimately ended up being a pretty fun urban/crime/action/thriller/caper, despite the urban angle, which I'm generally not much of a fan of in films. While nothing groundbreaking, it's a serviceable and highly enjoyable caper that brings together a colorful band of actors and filmmakers in a very un-typical way, delivering a solid standout in the urban action genre.